We have been busy tonight and have lots of the following made up and ready to sell in School! Give us a shout if you’re interested! The FWH students have started to make their enterprise goods, ready to sell. All profits are going towards our activities budget and we have big plans for that this year!!! Last night we all went to the carnival! There were some great floats and we all got to stay dry for once as it didn’t rain!! The Pirates of the Caribbean float was our favourite! Even Jason liked that one!!! This is my new blog post. 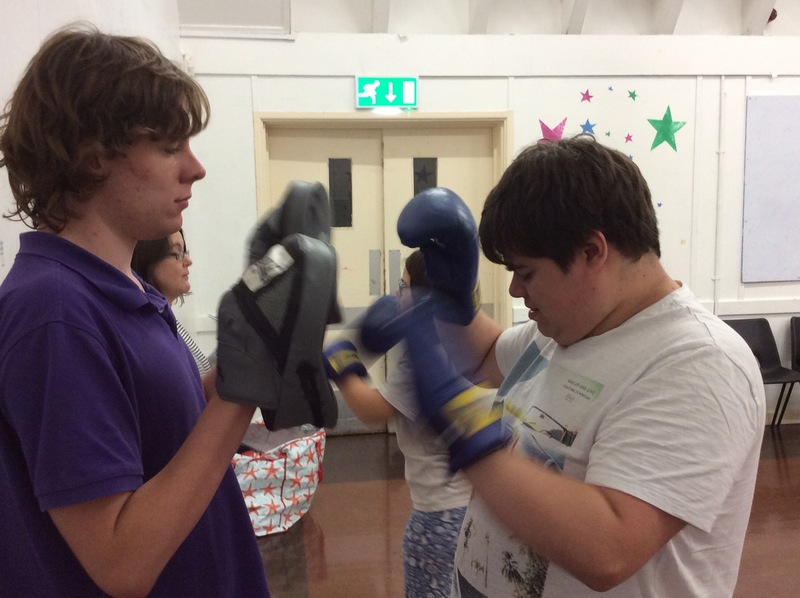 It’s about what we’ve been doing today in Fosse Way House. This term we are going to Bath every week for trampoline lessons. We’ve all been getting really good and love learning new moves!! We also get to play other sports games while we wait for our turn on the trampoline. 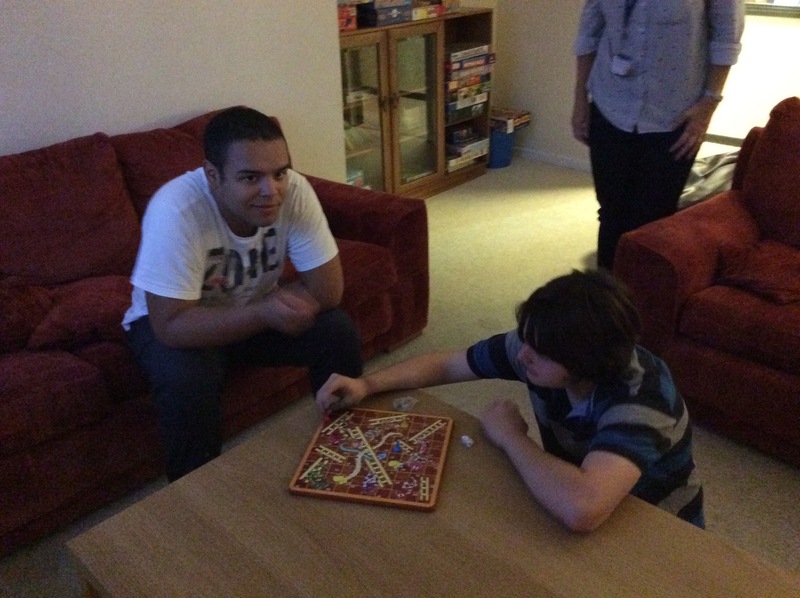 A competitive game of snakes and ladders between these guys tonight. 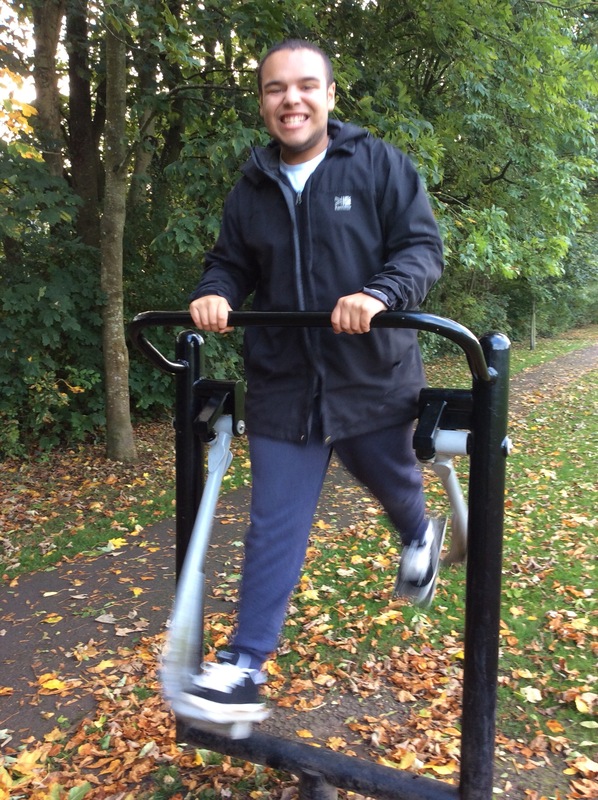 Not to be outdone, the other guys from FWH went to a local park for their exercise!!! 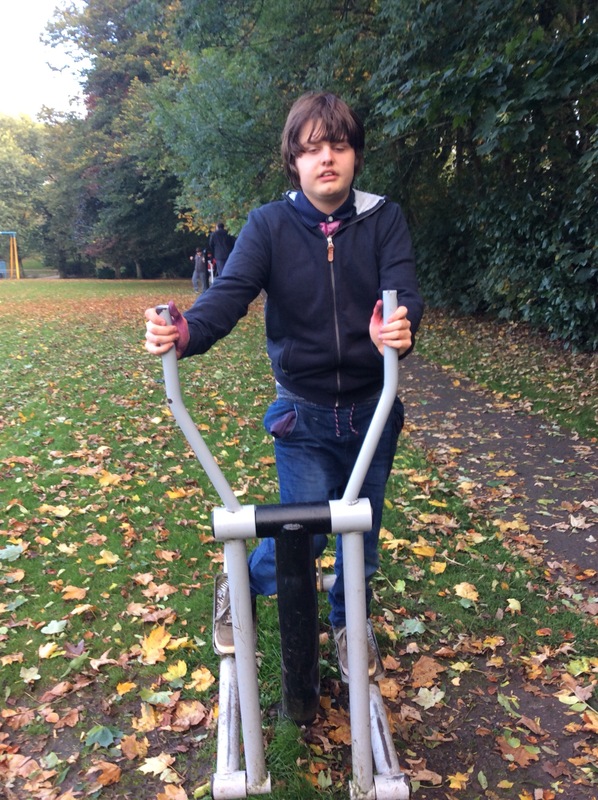 These machines are great!! 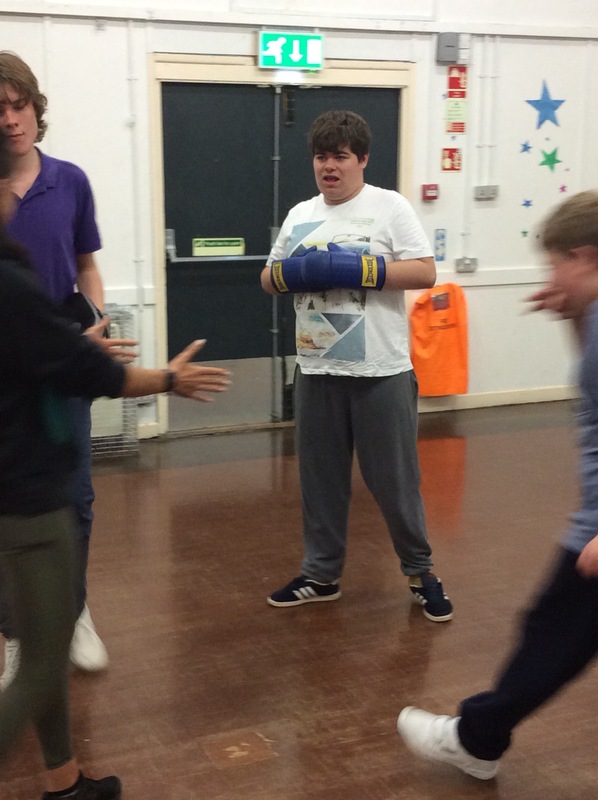 Some of the FWH students recently tried their hand at some boxercise while at Teenage Rampage Youth Club. 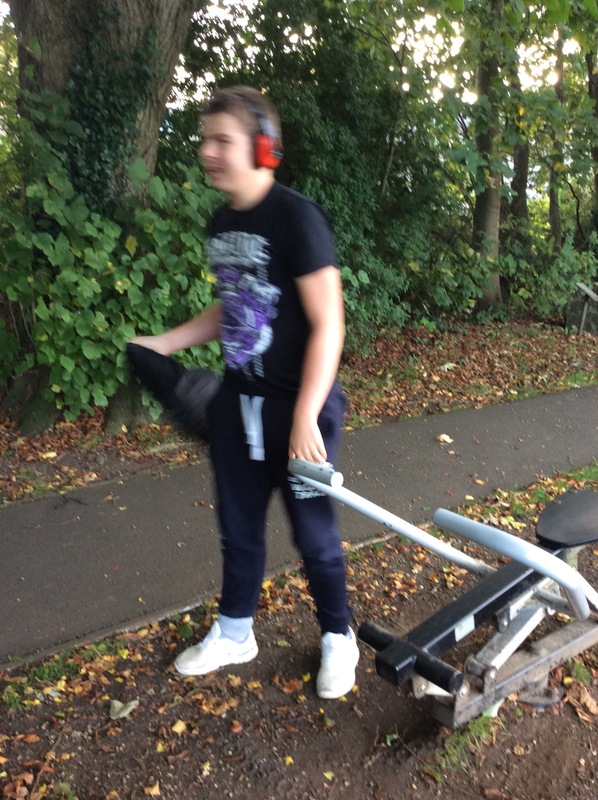 A good work out was had by all!! This year for Halloween we all carved our pumpkins using our own designs!! After this we took the insides of the pumpkin and made pumpkin pie and cake!! We then had a party where we ate everything we made in our SPOOOOOOOKY dining room! It was delicious! !